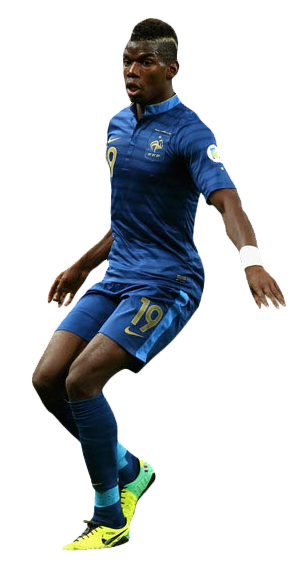 Paul Labile Pogba is a French international footballer who plays for Italian club Juventus in Serie A. He operates primarily as a midfielder and is comfortable at playing both in attack and defence. Pogba was described by his former club Manchester United as a "powerful, skilful, and creative" player who has "an eye for goal and a penchant for the spectacular". After his transfer to Juventus, he gained the nickname Il Polpo Paul ("Paul the Octopus") for his long legs that look like tentacles during tackling or running. He received the Golden Boy award for 2013, given to the best under-21 player in Europe.